Private estate view home located in the prestigious British Properties. This exclusive southside 18,000sqft view property features an open concept main floor with a modern gourmet kitchen perfect for entertaining. 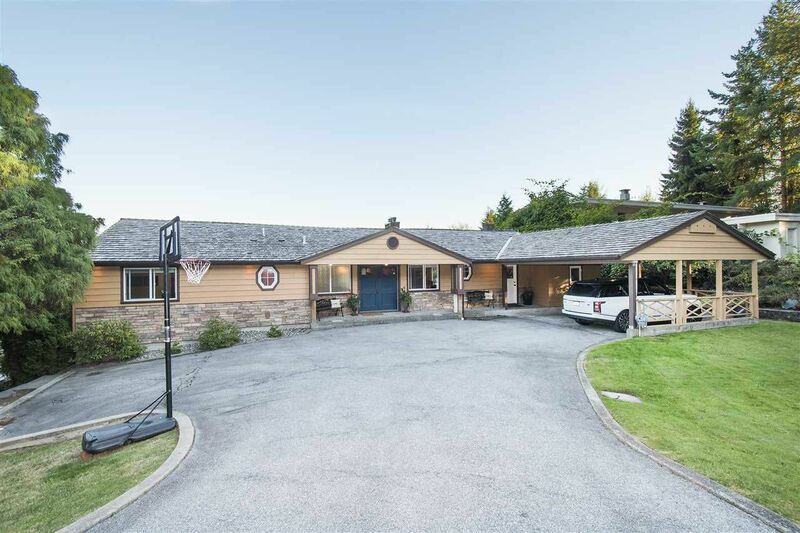 The living/dining room area is separated by a feature stone wall with a see-thru gas fireplace and leads out to an entertainment sized deck with over 1200sqft of outdoor living space that looks out to views of the city, Grouse Mtn & Mt Baker. This 6 bedroom 3 1/2 bath home offers the ultimate in one level living plus added space downstairs. Live in now, hold or build your dream home.